I don’t even bother with the jarred variety any longer; we had it so often when the kids were small, I just lost respect for it, I guess. We tried counseling – he refused to talk and it became obvious he thought he was perfect just as he was: Shiny and appealing on the outside, but bland, bland, bland. Not so with this simple home-made version! A little tart, very tasty, and dare I say it? Just a bit “saucy!” Sorry, couldn’t help myself! The butter is completely optional and non-traditional, but adds a bit of richness. And the pepper? Trust me! Unfortunately, although there is no comparison in taste & quality, cheap canned applesauce is almost always cheaper than home-made. Unless maybe you have an orchard. Go figure, huh? 7 – 9 apples, tart varieties, about 7 or so ounces each, about 3 pounds. Peel and slice apples. 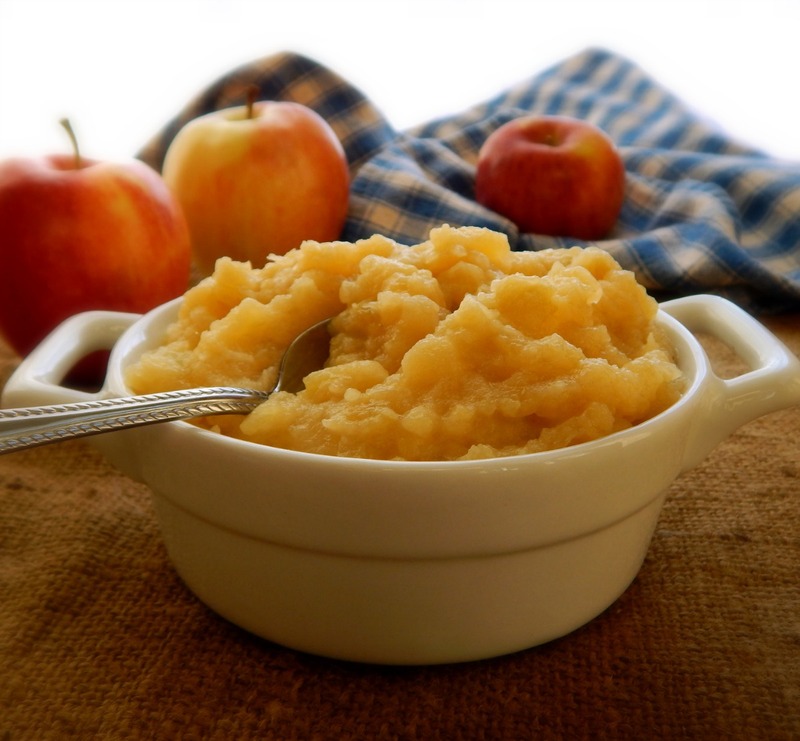 Melt butter in saucepan, add apples, spices, lemon and pepper. Stir occasionally over medium low heat until apples soften. Mash with a potato masher to smooth out the larger chunks. Time, about 20 minutes. Note: A heavy pan helps and if the apples seem too dry and in danger of scorching before they are softened, add in just a bit of water. This entry was posted in Click here for Fabulous Food Posts and tagged Apple, Applesauce, Breakfast or Brunch Dish, Easy Recipe, Frugal Hausfrau, Fruit, Side. Bookmark the permalink.